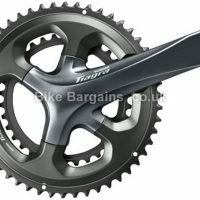 This £64.99 Athena Power-Torque 11spd Chainset deal has expired. 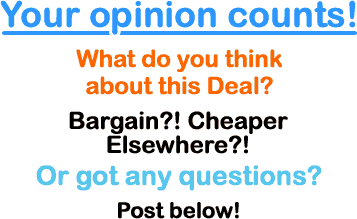 However, you can..
Or see all of my Chainsets deals. 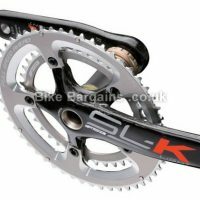 Not the right crankset for you? 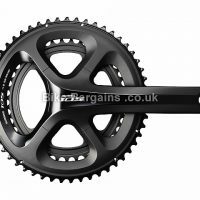 Why not check out the rest of my chainset deals, where you can compare prices for all of the most popular road & MTB chainsets, as well as find awesome deals on some lesser known models too! 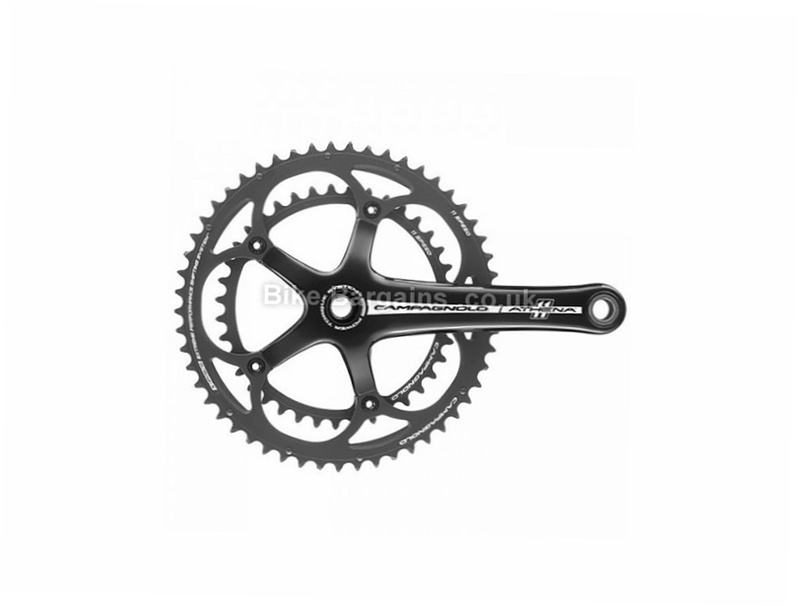 I've included sizes (crank lengths), weights, number of chainrings and teeth, and finally the intended use (where appropriate), so you can ensure that the model you choose will fit both your bike and riding style. The Italian bike component manufacturer Campagnolo is best known for it's range of groupsets and drivetrain related products. Founded in 1933 by road cyclist Tullio Campagnolo, based upon ideas he had for amongst others, wheels and derailleurs. In 1940 their first rear derailleur entered production, enabling the rider to change gears without removing their rear wheel. Although primarily a cycling company, Campag (as they are often abbreviated to) have also manufactured products for the sports auto industry for brands such as Alfa Romeo, Ferrari, Lamborghini and Maserati. Achievements in the cycling world include helping Eddy Merckx set the world hour record in 1972. 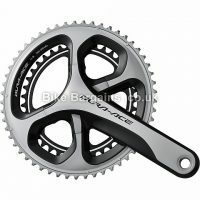 As the years progressed, the number of gears increased, with 8 Speed (1991), 9 Speed (in 1997), 10 speed (in 2000) and now 11 speed in 2008. Notable riders to have won the Tour de France on Campag equipment include Eddy Merckx (5 times), Bernard Hinault (5 times), Greg LeMond (twice) and Miguel Indurain (5 times). In recent times Riis, Ullrich, Pantani, Pereiro and Nibali have won riding with Campagnolo. For more information on their history, please visit their Wikipedia page, or you can see their current range of components here.